You’ve probably heard of Tian’anmen Square already, and seen part of it in the most famous photograph of Beijing outside China..
Nowadays Beijing’s central public space is ring-fenced and encircled by busy roads, CCTV cameras, and almost as many police as there are visiting tourists. Access is by underpass and through X-ray bag searches like you’re about to board an aeroplane (incidentally, the Metro has the same security checks). 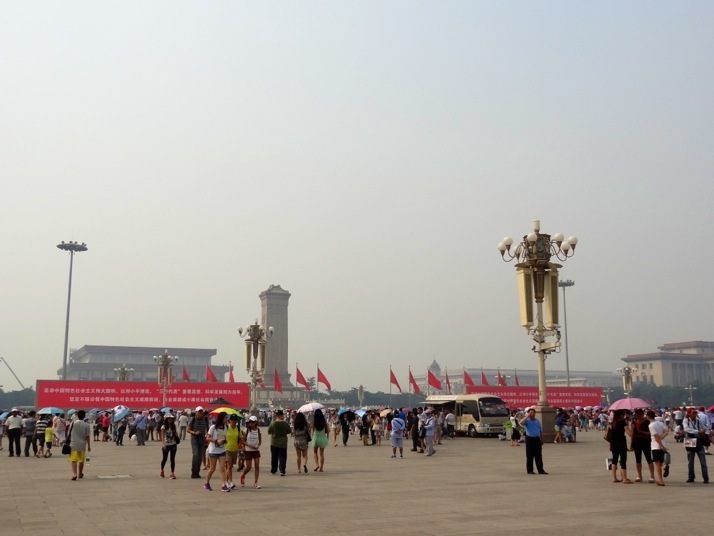 The square is flanked by two imposing government buildings that were designed and built in a Soviet Russian style in 1959; The National Museum of China to the east, and The Great Hall of the People on the west. To the south are two beautiful and imposing gate houses that are almost all that remains of the old Beijing city walls. To the north, beyond the smiling portrait of Mao facing the square is the Forbidden City. 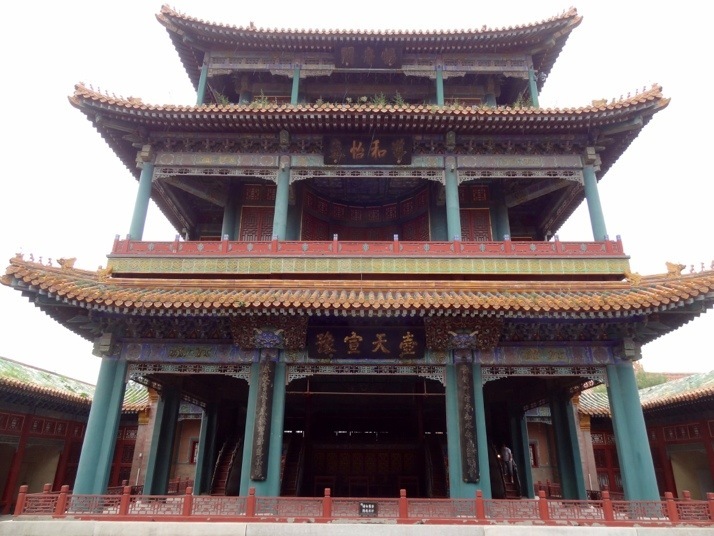 Built in the Ming Dynasty by the Yongle Emperor Zhu Di, and home to his consorts, concubines, visiting officials and successive Emperors, it was forbidden for ordinary folk to enter under penalty of immediate execution. The rules have been relaxed considerably since it became a museum in 1925, and now it seems only feather dusters are forbidden. 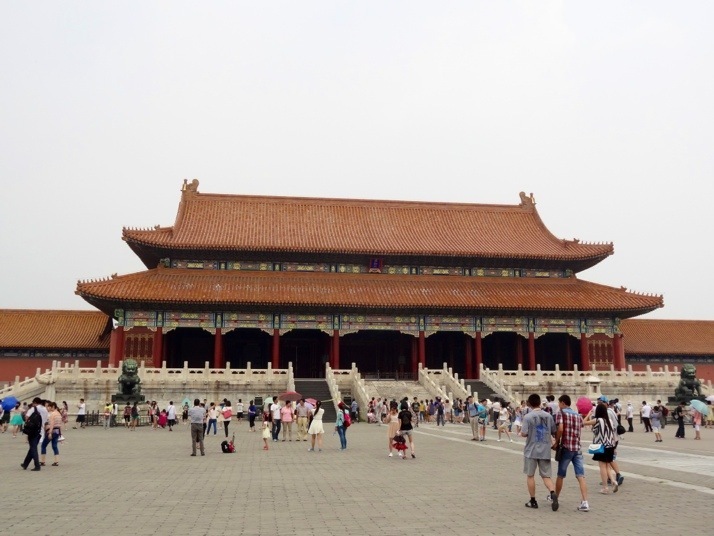 The Forbidden City is aptly named for its sheer scale, it is immense. 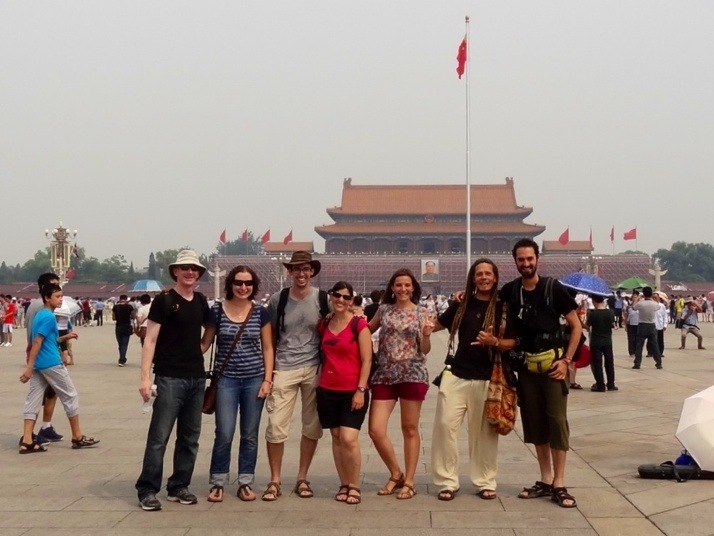 We visited twice, firstly with our new friends Maxime and Armelle whom we met in Mongolia, and their new friends Julia & Jõan and A.C. whom they met on the train into China, and again with Julie’s parents, and we still didn’t see it all. 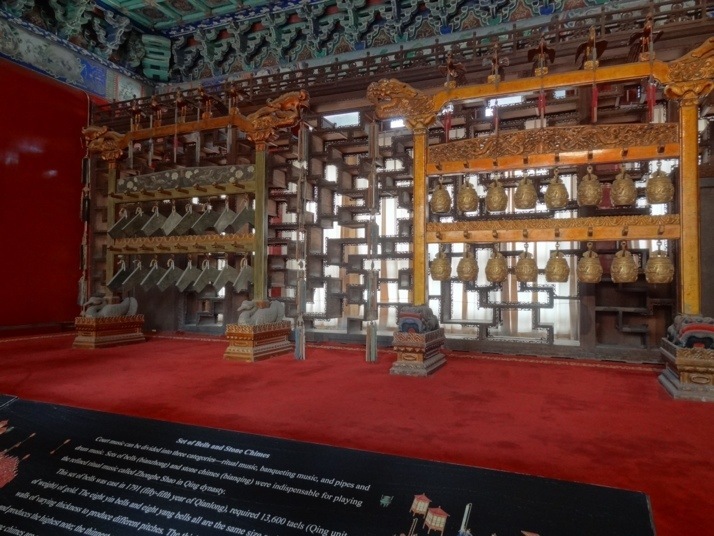 The buildings are beautiful with their curved-edge roofs adorned with glazed figurines, and each one has a delightful name, such as The Gate of Divine Might, The Hall of Mental Cultivation or The Palace of Tranquil Longevity. Right smack in the centre of the city is The Hall of Supreme Harmony which marks the border between the outer (southern) and inner courts and where the space and scale immediately shrinks. The buildings beyond are just as intricate but are more varied in their design. Vast open spaces give way to walled corridors leading to intimate courtyards where we found trees, rocks and metal animal statues. This makes sense as the inner court was the home of the Emperor & Empress, and where the administrative functions of the empire took place, while the outer court was used for ceremonies. 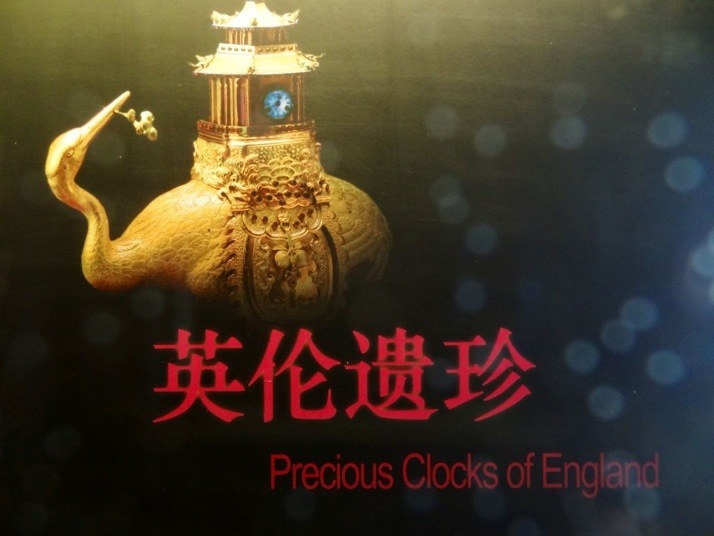 Easily worth the additional ¥10 entrance fee (which works out at about £1 each), the hall of clocks was one of our favourite exhibits in the Forbidden City, not least because the majority of the ingenious clocks on display were made in England! 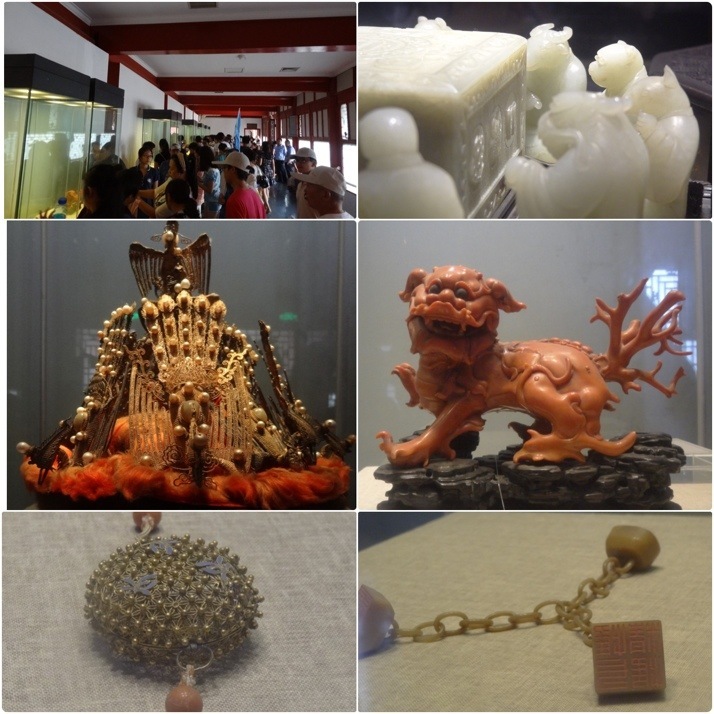 The other additional cost exhibition, also ¥10, is the Treasure Gallery, and we certainly got our money’s worth. The courtyard of the Treasure Gallery contains a vibrant 9 dragon screen. It’s not as big as the one we saw in Datong, but that made it easier to photograph! 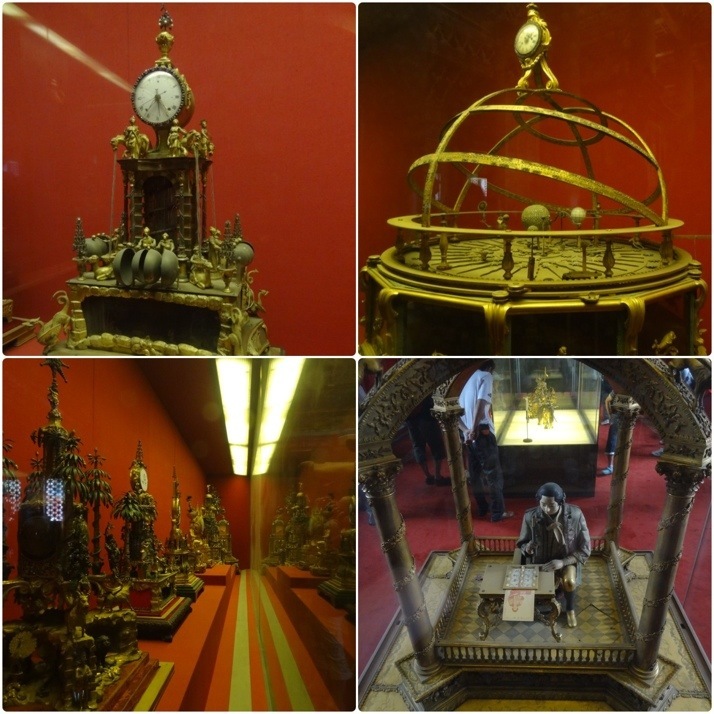 The Treasure Gallery itself displays some of the rarest and most valuable items in the Palace Museum collection. Some of the more popular pieces are a little difficult to see if the halls are busy, and we found Indian-style queuing to be in effect. Patience was definitely needed. Opposite the jewellery and precious stones exhibits, are the impressive sounding Stone Drum halls (sounds impressive to me anyway, as I used to play the drums). 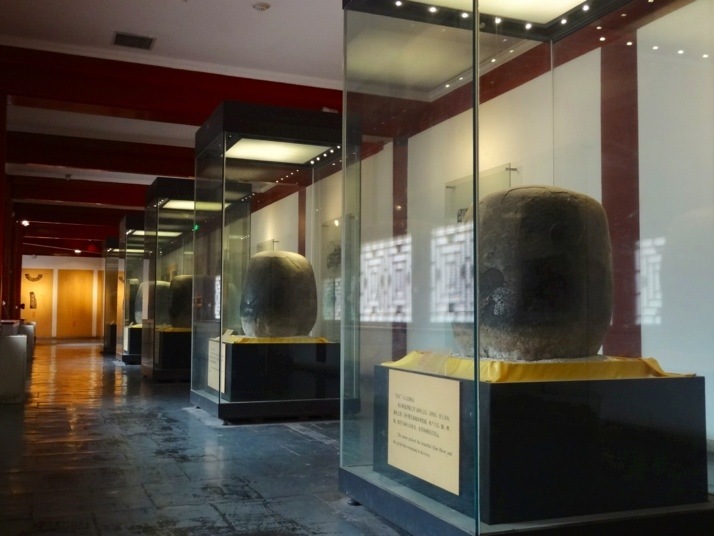 And while the exhibit is nicely laid out and the drums themselves are very important given that their inscriptions recount social events from almost two centuries ago, they weren’t actually that impressive. Continuing up the eastern side of the inner court, the Treasure Gallery also includes the inner court’s theatre, and halls containing beautiful court seals, bells, and huge carved stones – sadly all covered with a layer of Qing Dynasty-era dust (hence my earlier quip about forbidden feather dusters). 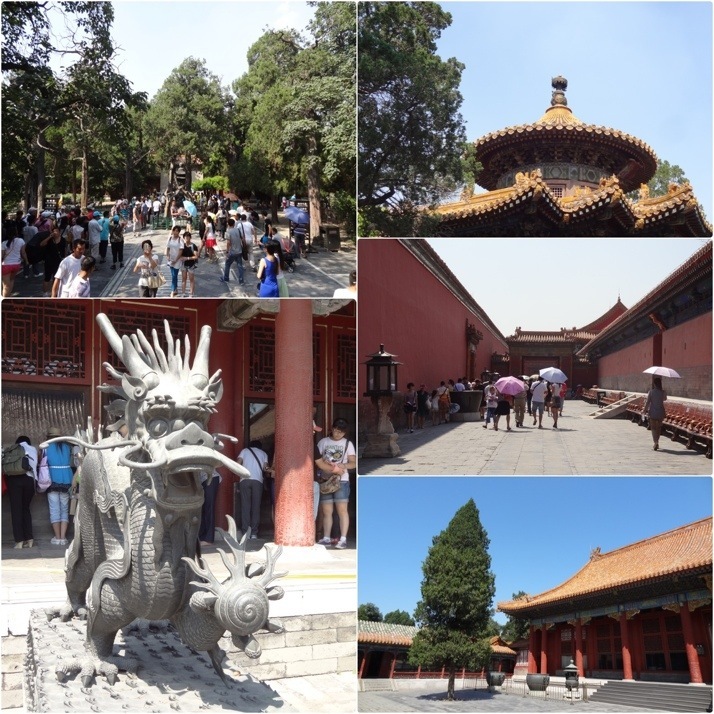 The western side of the Forbidden City consists of lots of smaller buildings and quaint courtyards, culminating in the central gardens before the northern exit. 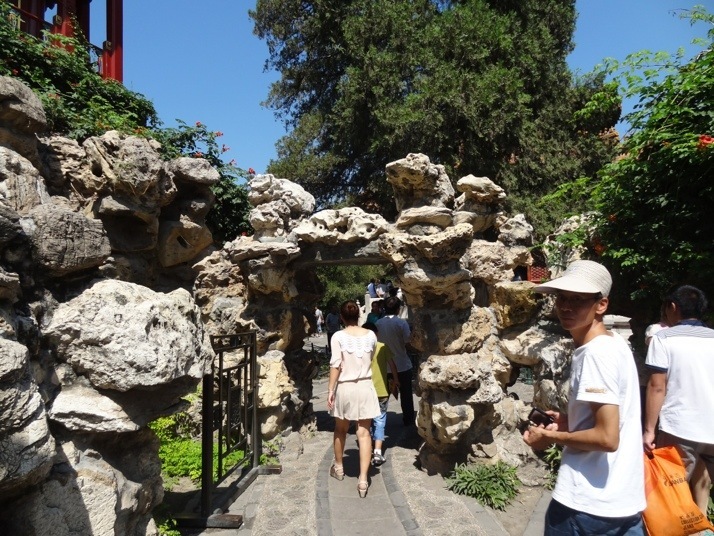 Rock garden, Qing Dynasty style – here you can walk through the rocks! Immediately north of the Forbidden City is Jingshan Park, and we just about had the energy left in our legs after a full-day of sightseeing to walk up the steps of the highest of the five peaks in this man-made park. 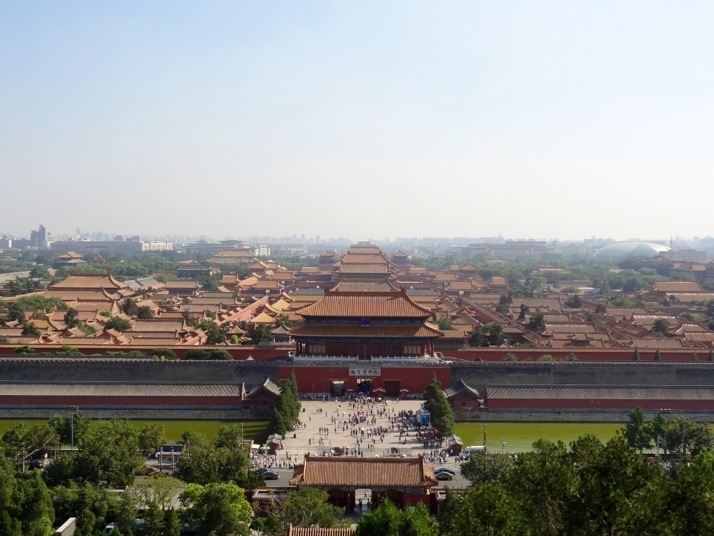 Feng Shui says its favourable to site a residence to the south of a hill, but Marco Polo had the same thought I did when I got to the top and looked down on the centre of (what was) the imperial capital – it’d be a good place to attack it from. 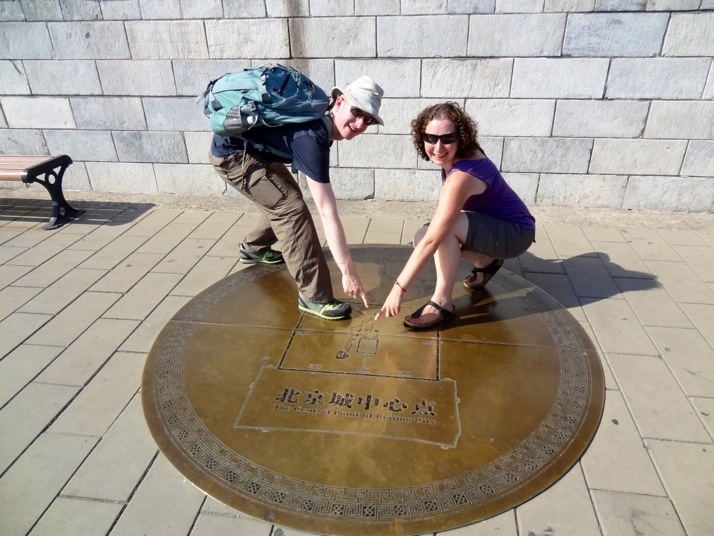 And then we looked down at our feet to find we were in the very centre of Beijing! 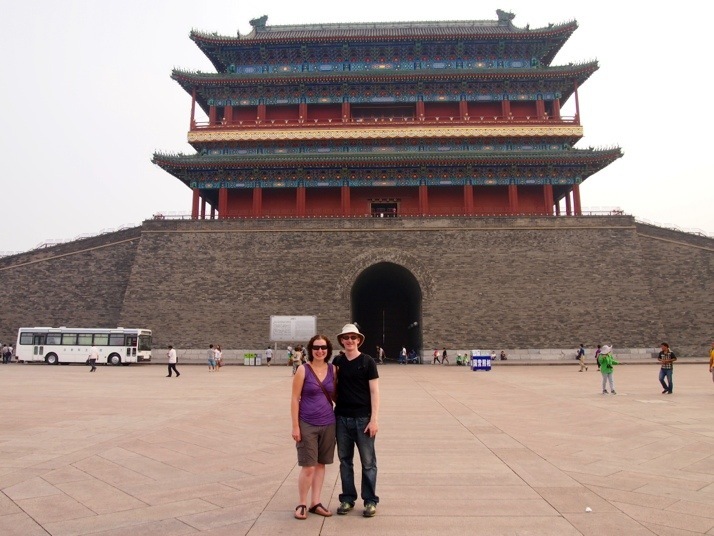 Us in the the centre of Beijing! 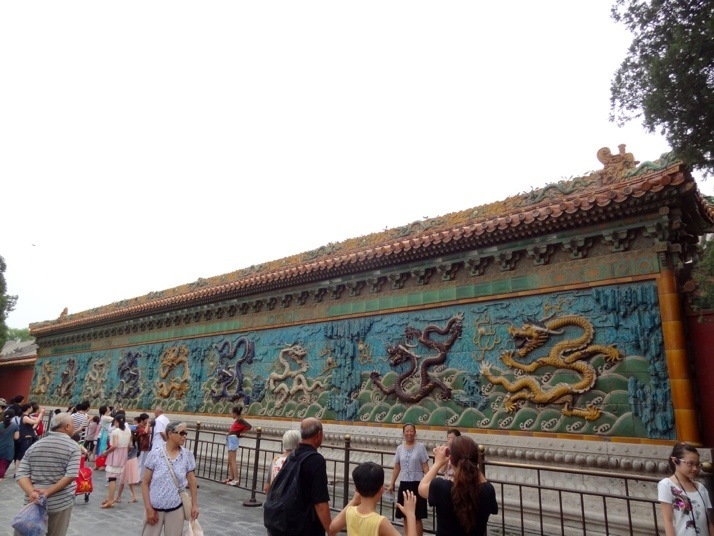 This entry was posted in Places and tagged Beijing, China, Forbidden City, Tian'anmen Square on September 17, 2013 by Andrew. It looks stunning. 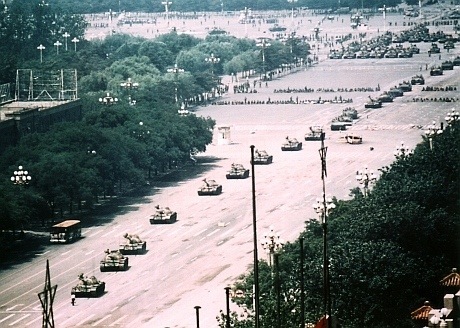 My Chinese colleague says the Chinese have a completely different view of Tiananmen Square than we do. 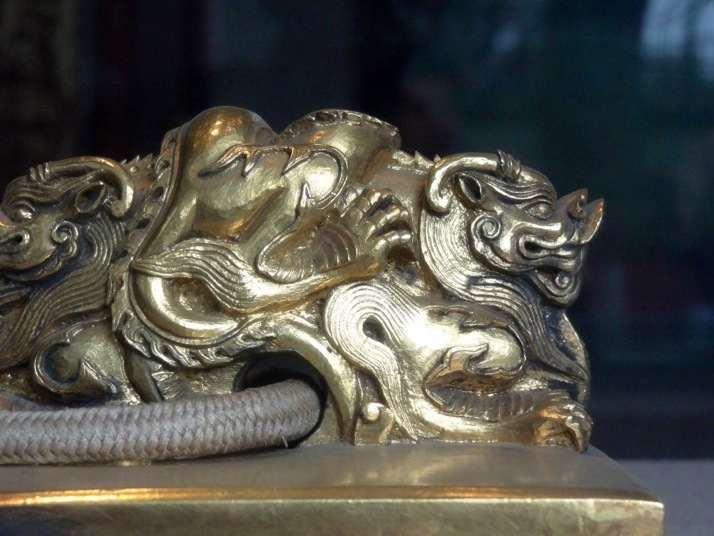 And you wouldn’t have been able to find that tank photo if you’d blogged this from China either! I think the Chinese people in China have access to different information than we do, though I also think that’s changing – especially since the prestige of studying abroad (particularly in the USA and the UK) means the next generation will be more accustomed to (arguably) greater freedom of speech and expression. It’s a two-sided coin though, I don’t think one way or the other is better, they are different methods of government and each has its pro’s and con’s, and proponents of one style over another will have issues with how it is implemented. You’re correct about the photo, to be honest I didn’t even try to look for it while we were in China! 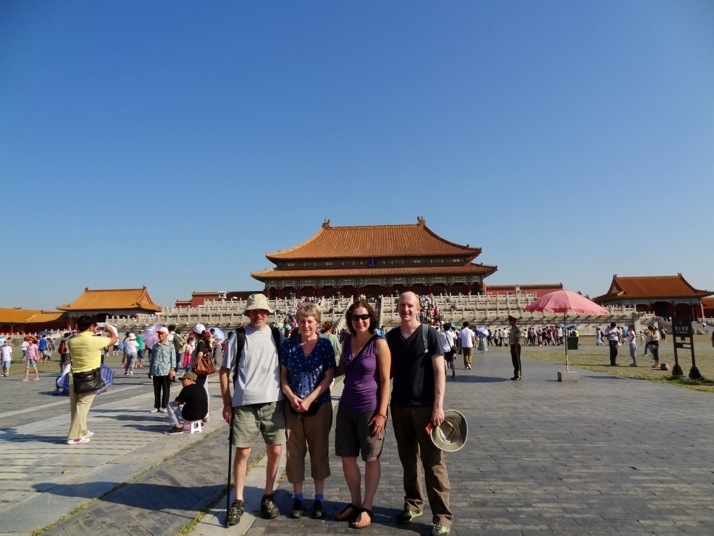 Lovely to see you with Norman and Moira and friends enjoying what looks like a spell of decent weather whilst taking in the sights of the Forbidden City. 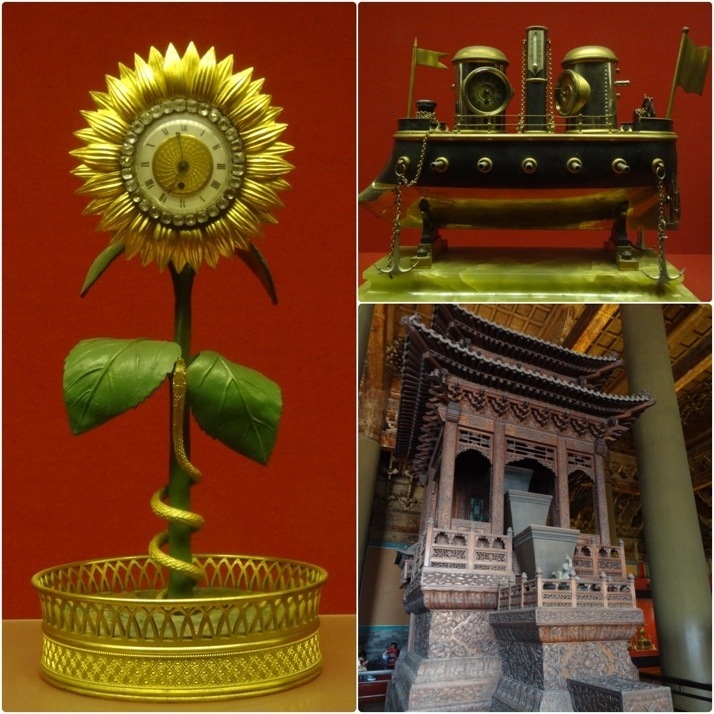 The exhibits are truly amazing and beautiful, and all the more precious as it was rumoured that Chairman Mao considered having the whole lot raised to the ground in one of the earliest ‘purges’. You must have found it a little frustrating to have to move on in the shuffling queue when faced with so much detail to take in. We had no idea that the City was so big that you could not see it all in three days! I guess the clue is in the name ;0 ! I hadn’t heard the rumour that Mao considered destroying it all – thank goodness he didn’t! The queueing and pushing wasn’t so bad, everyone is understandably trying to get a good look, though there were a few “catalguers” as I’ve taken to calling them.. those people that, for whatever reason, photograph every exhibit in turn without really looking at what they’re photographing! 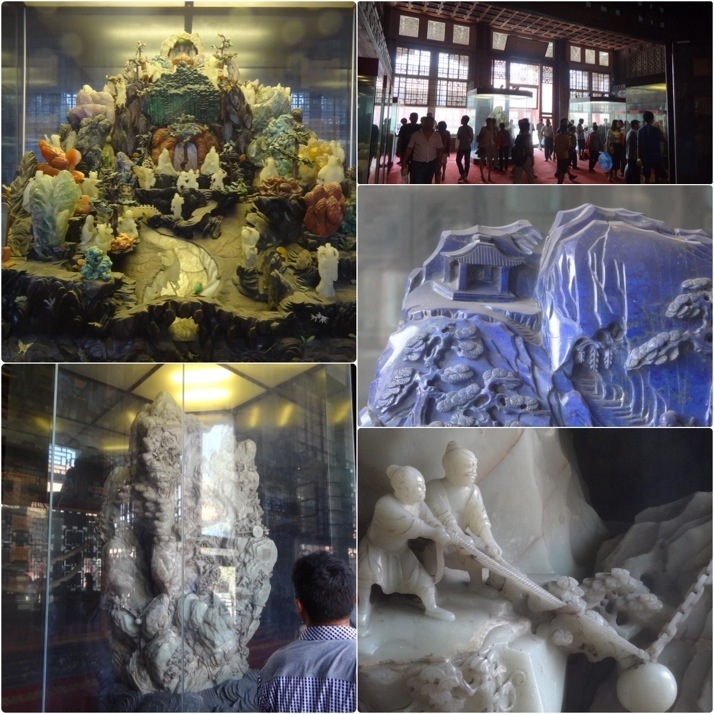 I just returned from China and already I would love to visit again. I have really enjoyed your photos and comments. Thank you for posting. Thank you Sue, we’ll be back to China again as well I’m sure!